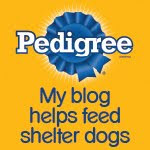 Nutrish has created MyShelterSite.com to provide free, professional and SEO ready website and social media templates for rescues and shelters - what a great idea! By the way, the template is built on the WordPress platform so it's super easy, and the hosting is free, too! And to bolster this generous endeavor, Romeo the Cat has chimed in, as the good kitty and his staff, Caroline Golon, often do, and are not only helping to spread the word about this offer but have added to it: Romeo has assembled a team of media savvy bloggers who are on perpetual stand-by to answer questions from rescues and shelters about websites, social media and online marketing. In fact, these experts will choose one question a week to answer collectively, and publish their answer every Monday on the team's blogs. 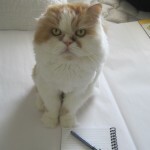 Questions should be submitted to: Caroline@romeothecat.com. So what can you do to help this generous campaign get the word out? Why not write a post about it on your blog, or share a link to this one. We all want to help shelters and rescues ramp up their efforts to promote their orphaned pets, and harnessing the full potential of the Internet and social media is one great way to do that. Wow, what wonderful news. Off to check out Romeo's page for more info! Rachael Ray is always helping the woofies...that is just part of why we love her! This is great. I think all the publicity for shelter pets is beginning to work. 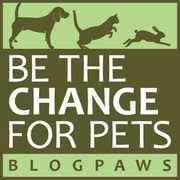 Most of my friends now find their pets from Petfinder, shelters and rescue homes. I'll help you share the word.